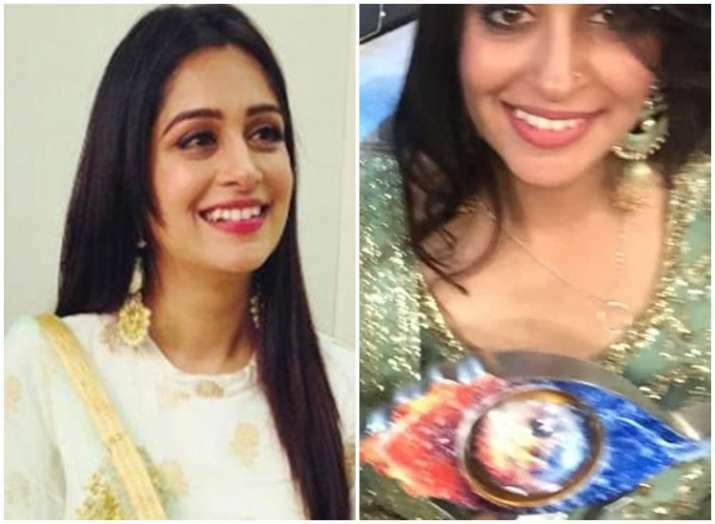 Dipika Kakar wins Bigg Boss 12 trophy. 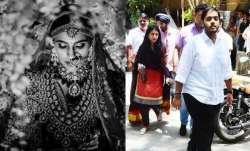 She was welcomed by her husband Shoaib Ibrahim and mother-in-law with a cake cutting ceremony. The stage for Bigg Boss 12 Grand Finale is set with host Salman Khan all set to entertain the audience to the fullest. The Bhaijaan of Bollywood will be seen dancing with the finalists of the controversial show tonight at 9 pm on Colors TV. Most importantly, Salman Khan will announce the name of Bigg Boss 12 winner. In last night's episode, the top five contestants of the Bigg Boss 12 house were seen spending a nostalgic night in tonight's episode, as they reflected on their three-month-long journey. Bigg Boss 12, more or less, failed to live upto the expectations of the fans this year. The three months long and tedious journey for the contestants is finally ending today with five contestants, Dipika Kakar, Sreesanth, Karanvir Bohra, Deepak Thakur and Romil Chaudhary, fighting it for the prize money and trophy. Catch all Bigg Boss 12 Grand Finale highlights, BB 12 winner name, amazing performances by Salman Khan and finalists here. 11: 45 PM; The final moment is here and TV actress Dipika Kakar has won the Bigg Boss 12 trophy. With this win, Dipika takes home cash prize of Rs 30 Lakh. 11: 30 PM: The top two finalists Sreesanth and Dipika dance their heart out. 11: 25 PM: Salman Khan announces that Deepka Thakur had received less votes as compared to Sreesanth and Dipika which means that he made a smart move by walking out with Rs 20 Lakh. 11: 15 PM: As the Bigg Boss 12 finale intensifies, Deepak Thakur decides to walk away with the prize money of Rs 20 lakhs and this act by the young contestant has won him a million hearts. Fans of the show are lauding Deepak for choosing the sensible way and walking out of Bigg Boss 12. It is now Sreesanth Vs Dipika in the Bigg Boss 12 winner race. 10: 55 PM: Delhi fans cheers for their favourite contestants. 10: 40 PM: Now that Karanvir and Romil are out of the Salman Khan hosted show, it is Dipika, Deepak and Sreesanth fighting it out for the coveted Bigg Boss 12 trophy and prize money of Rs 50 Lakh. 10: 20 PM: After Karanvir Bohra, Romil Chaudhary gets eliminated from Bigg Boss 12. The top three BB 12 finalists are Deepak Thakur, Dipika Kakar and Sreesanth. Romil says that he wants Deepak to lift the Bigg Boss 12 trophy but his heart says that Sreesanth will emerge the winner. 10: 10 PM: Rohit Shetty is in Bigg Boss 12 house. The Khatron Ke Khiladi host enters the house to eliminate one more contestant from the show. 10: 05 PM: It's Salman Khan Vs Bharti Singh in a dance competition face-off! 10: 00 PM: Friends and family cheer for Deepak Thakur. Deepak and Somi entertain everyone with dhaamakedaar dance performance. 9: 50 PM: Karanvir Bohra is out of the Bigg Boss 12 winner race! KV is shocked that he got the least votes out of the five Bigg Boss 12 finalist. The TV actor says Deepak Thakur will win the show. 9: 45 PM: Salman Khan announces BIGG twist! The top three finalists of the show will have to choose between prize money or Bigg Boss 12 trophy. 9: 35 PM: Comedy queen Bharti Singh brings laughter riot. She pulls legs of the BB 12 finalists entertaining the audience all the way. Bharti shows clips of what fans have to say about the finalists of Bigg Boss 12. While fans want Sreesanth to be seen in daily soaps, they would love to see Karanvir as a fashion designer. 9: 30 PM: Bigg Boss 12 finalists Sreesanth, Karanvir Bohra Romil Chaudhary dance to Kalibali song from Padmaavat. 9: 25 PM: Haryana cheers for Romil Chaudhary! Romil thanks his fans for all the love and support. 9: 20 PM: Host Salman Khan says that Sreesanth has had threatened to leave the Bigg Boss 12 house 299 times while Dipika cried for on the fourth day of the show itself. 9: 15 PM: Romil's father says he's the proudest of his son. 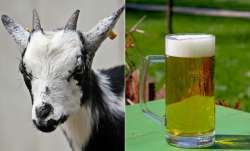 Meanwhile, Sreesanth's wife and daughter cheers for the former cricketer. Karanvir's mother is all tears. 9: 10 PM: The top five contestants are treated to what their closed ones have to say about them. It's an emotional time for all! 9: 05 PM: 1 crore and counting! That's the number of votes that the Bigg Boss 12 finalists have got from the audience. All the eliminated contestants are cheering for their favorite contestant. While Somi Khan wants Deepak Thakur to win, Megha votes for S Sreesanth. 9 PM: Bigg Boss 12 Grand Finale begins! Host Salman Khan makes grand entry in a black shimmery suit. The superstar introduvces the BB 12 finalists; Deepak, Sreesanth, Dipika, Romil and Karanvir in an entertaining way. Dancing our way to hearts, Salman Khan and the finalists make the wait exciting all the way.